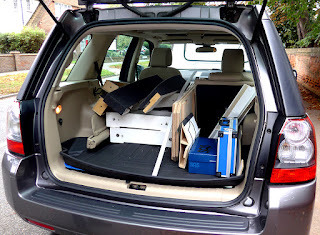 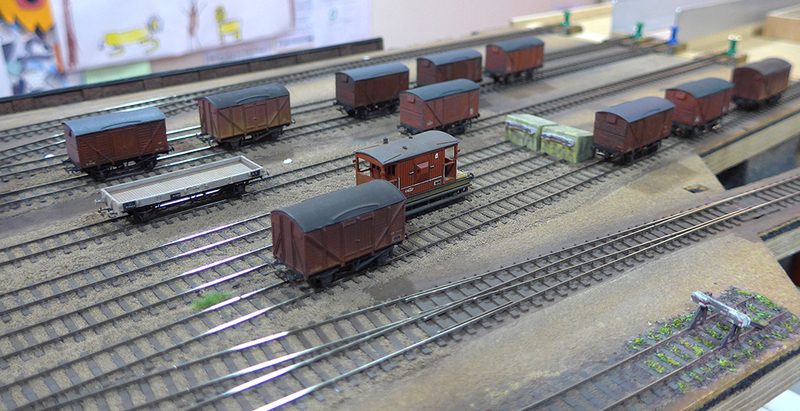 At this month's meeting we took the opportunity of setting up the layout in preparation for the next exhibition outing. 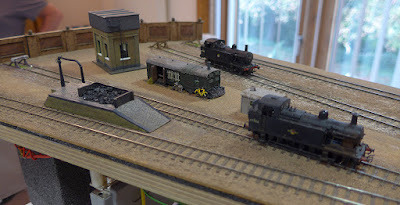 Cleaning the track and test running locos and stock. Apart from one sticky point, all ran well, including the additional controller for the fiddle yard. 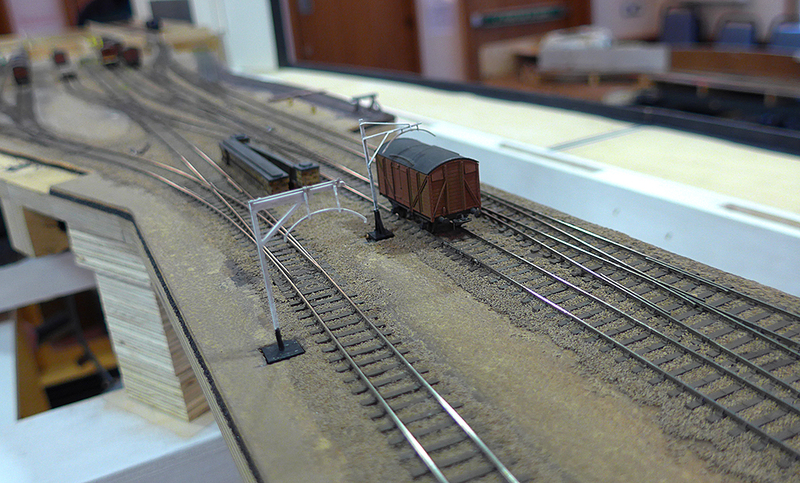 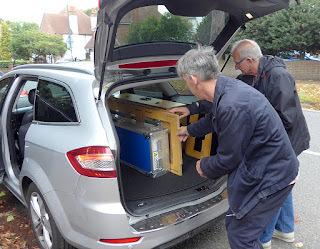 The next exhibition is the 2mm Association AGM meeting and the Farnham Show on 14th and 15th of October. Having satisfied ourselves of the working order, and briefed ourselves, we packed the layout into Pete K's and Alan S's cars for the trip to Farnham. 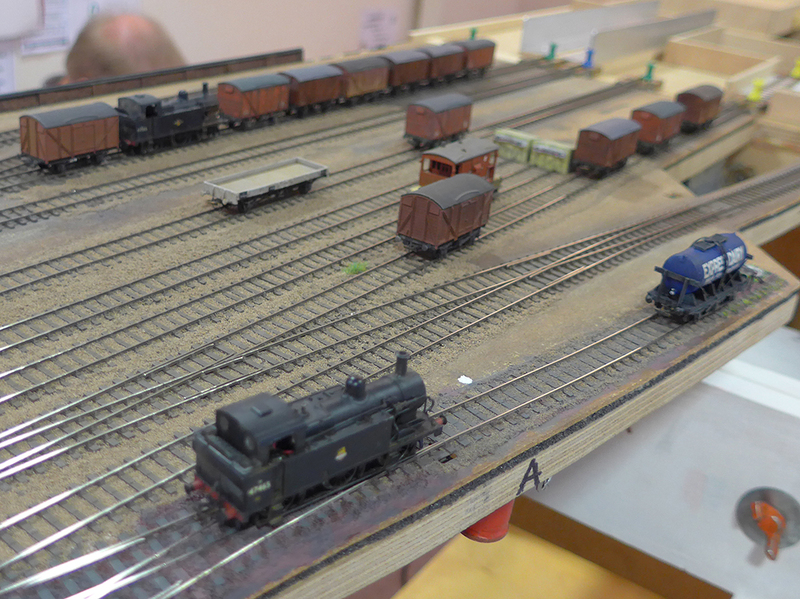 The layout will not be back 'home' for some time from a busy exhibitions schedule Appearances at Uckfield on 21st and 22nd October, and at Tolworth on 11th and 12th November. 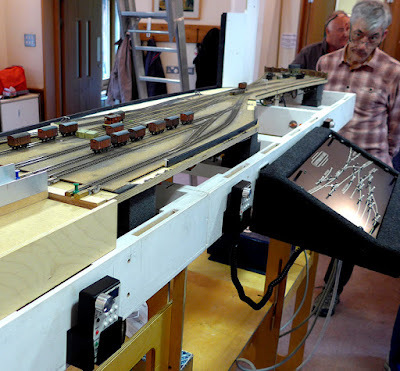 A gallery of images from the September meeting.